Norwegian Joy, a cruise ship which is currently under construction in Germany caught fire on Wednesday and as a result, the build was halted. 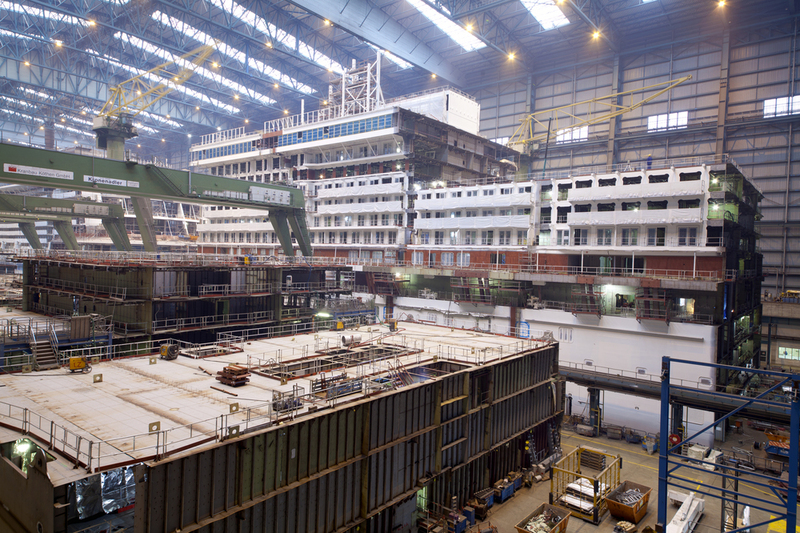 On Wednesday, September 28 a fire broke out on the Norwegian Joy which is under construction at the Meyer Werft shipyard in Papenburg, Germany. According to the Maritime Herald, “the manifold inflamed and caused a lot of smoke inside”, as expected fire procedures were activated on construction hall 2 where the ship was. The fire was quickly extinguished and all workers were evacuated. The large hall doors were opened so the smoke which totally engulfed the building could be released. Thankfully there were no injuries but there has been some damage. 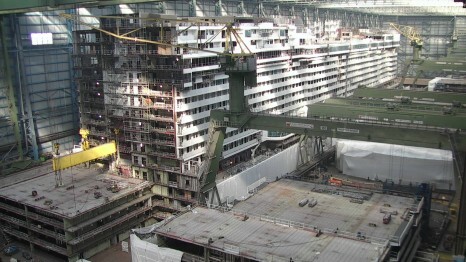 Construction has been halted but the ship is to still be delivered to the cruise line on-time. The shipyard is investigating how the fire broke out. 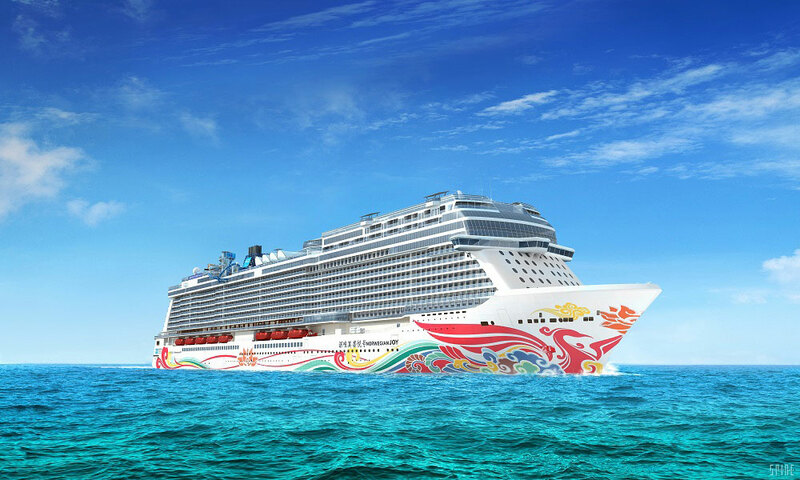 Norwegian Joy is a new ship being built for Norwegian Cruise Lines and is scheduled to be completed in Spring 2017 and is purpose-built for the Chinese market. The ship will sail out of China and carry 3,850 passengers at double occupancy. The ship will be 168,800 gross tons and among the biggest in the world. Cruise Hive has contacted the shipyard and will update this post if we get a response.